If you planted seeds like I did, then you planted 2 seeds/hole. If you are lucky, both seeds sprouted and you now have two plants occupying the same hole. As soon as the plant looks viable, remove one so that the other has more room to flourish. 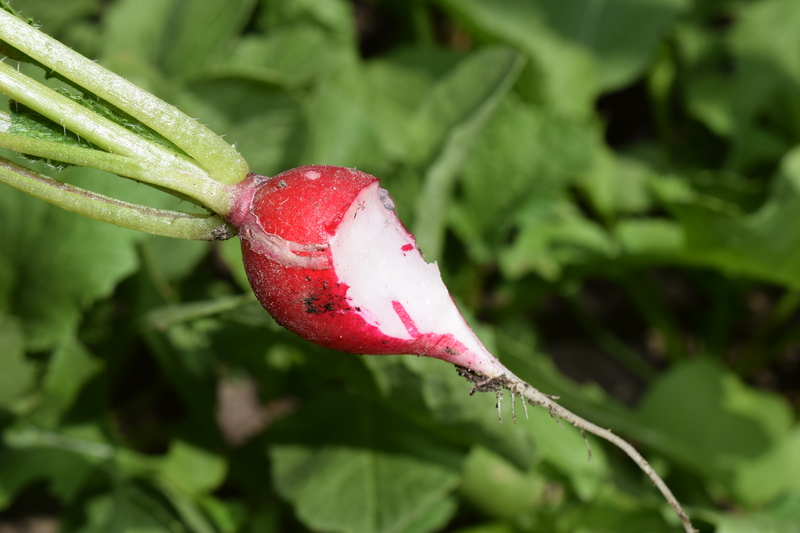 It pains me to remove a perfectly good spinach or radish, but in the end, I get a more delicious and fruitful vegetable when it has the space to grow full size. I thinned the radishes a little late, but after giving them more space, they were ready to harvest one week later. I decided to taste test along the way; always remember to enjoy your hard work at every step of the journey.